Conferences, events and summits are an integral part of any evolving industry, especially knowledge industry where there is a constant need to exchange ideas, use cases and achievements. Here’s a list of 10 leading conferences (in alphabetic order) from around the world that we have compiled, focussing on the geographies and quality. Any large analytics & machine learning conference should have an equal emphasis on both theoretical advances and large real-world impact that benefits millions of customers. Also, the conference should feature several leaders from various industries to present at the conference to foster a cross breeding of ideas. These conferences have proved to be existence for years now and thus have created a niche and brand name for themselves that everyone in the space look forward to attending. Also, we have kept only large format conferences in this list and have excluded captive events showcasing capabilities of one specific organization. Big Data Analytics Tokyo is a meeting place for data science and data analytics related startups with Japanese companies. These companies usually come with the intention of either partnering with these startups or investing in them. 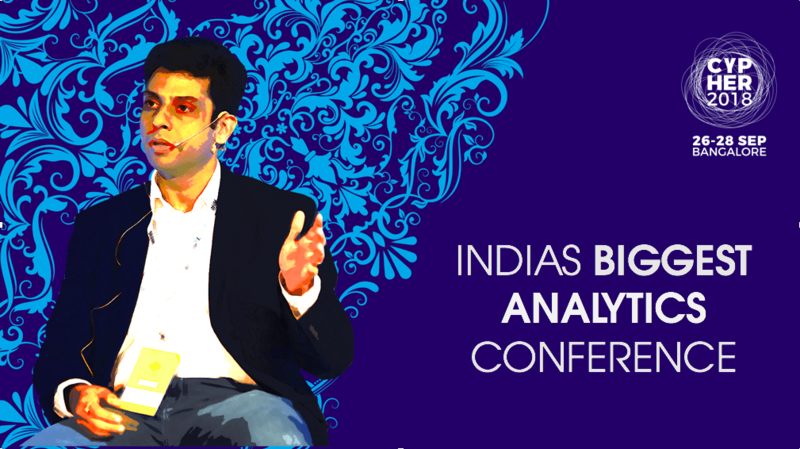 Cypher is India’s largest analytics summit. The three parallelly running sessions – intensive keynotes, knowledge talks and workshops –touches all aspects of data science, data analytics, artificial intelligence, machine learning. The highlight of the event was the highly experienced speakers’ list that are brought together from various industries. Some of the companies that participated included Deloitte, Pepsico, IBM, Walmart, Yatra, Wipro, American Express among a gamut of other leading companies. You’ll hear industry experts and business leaders—in Europe and North America—share real-world use cases, success stories, and best practices. You’ll learn in breakout sessions designed by the community for the community. Select from more than 60 sessions in Berlin and 170 at the San Jose event. You’ll tap into content tuned to your needs in dedicated business and technology tracks. You can swap ideas with the who’s who of the industry at the Community Showcase. You can tune up your skills by attending pre-event training or a technical Crash Course. You’ll learn from industry colleagues at a Meetup or Birds-of-a-Feather session. JSM is the biggest gathering of statisticians (6,000+!) in the world. JSM also offers a unique opportunity for statisticians in academia, industry, and government to exchange ideas and explore opportunities for collaboration. Beginning statisticians (including current students) are able to learn from and interact with senior members of the profession. Started in 1989, KDD is the oldest & largest data mining conference worldwide. We pioneered “Big Data”, “Data Science”, and “Predictive Analytics” solutions before these names even existed – some of the first & most highly cited research papers on these topics were published in our conference. Other notable innovations that originated in our conference include crowd sourcing; large scale data mining competitions with over 10,000 participants, personalized advertising, e.g., on Google, graph mining algorithms that power Facebook & LinkedIn, and recommender systems used by Netflix, Amazon, etc. This conference is for business analytics professionals working in data science, big data, data mining, machine learning, artificial intelligence, or predictive modeling who want to attend an event without being prospected by other attendees. Our unique core philosophy is simply to provide a vendor-free, sponsor-free, and recruiter-free conference for professional data scientists.